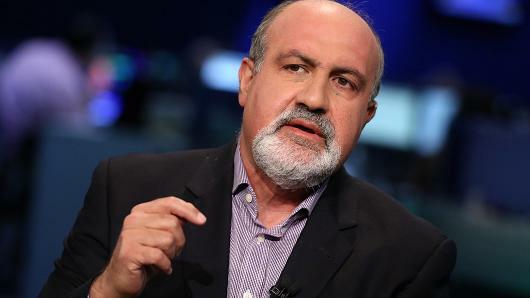 The Federal Reserve faces a “very tough” task in normalizing monetary policy, as it has limited tools at its disposal after years of near-zero interest rates, academic and writer Nassim Taleb said Friday. “The Fed is like a huge army with very sophisticated equipment and no ammunition,” he said in a CNBC “Power Lunch” interview. “They inherited that big machine without weapons. They realize that interest rates at zero is not something normal. And there’s no evidence that zero interest rates is better than 3 percent. But how to get to that normal level is going to be a very, very tough task for them,” the author of “The Black Swan” said. This was written by John. Posted on Saturday, August 29, 2015, at 9:32 pm. Filed under Contributors. Tagged Fed. Bookmark the permalink. Follow comments here with the RSS feed. Trackbacks are closed, but you can post a comment.